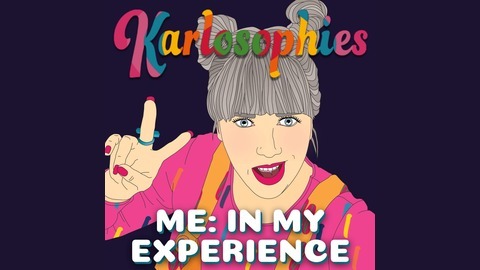 Welcome to Karlosophies, I'm Karly Nimmo... and to be honest, I'm still very much figuring out this thing called life. 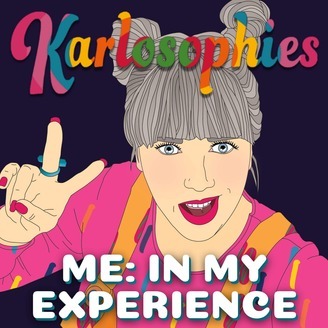 Karlosophies has been a training ground for me to show up and speak up. It's grown and changed, as I've grown and changed. It started as a way for me to come to terms with the biggest failure of my life, and now that the failure chapter is officially closed, I want to explore what it's like to live life with the lid off.... what happens when you start living a life free of others expectation, and at times, your own... and start living a life in brilliant technicolour. Each week, I'll show up and peel back another layer of the stories that make up the fabric of who I am... and occasionally I'll dive deep with a guest on a topic that has piqued my curiosity. The intention of this podcast is to help you to remember, and step into, the truth, power and potential of who you really are. It's chock a block full of inspiring stories, business tips and takeaways to implement into your life for positive change. So show up and let Karlosophies speak to you, in any way you need it to. Today in Karlosophies, Karly speaks about honoring the word. She gives us an opportunity to evaluate our own life and see if there are any habits that we would like lock ourselves in.